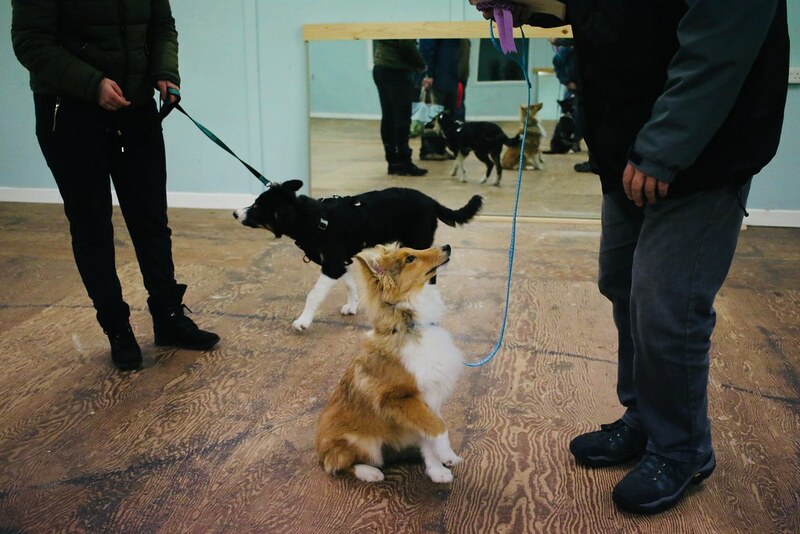 It was the final night of puppy class last night. We played lots of games and many rounds of applause were given because every puppy is a winner! 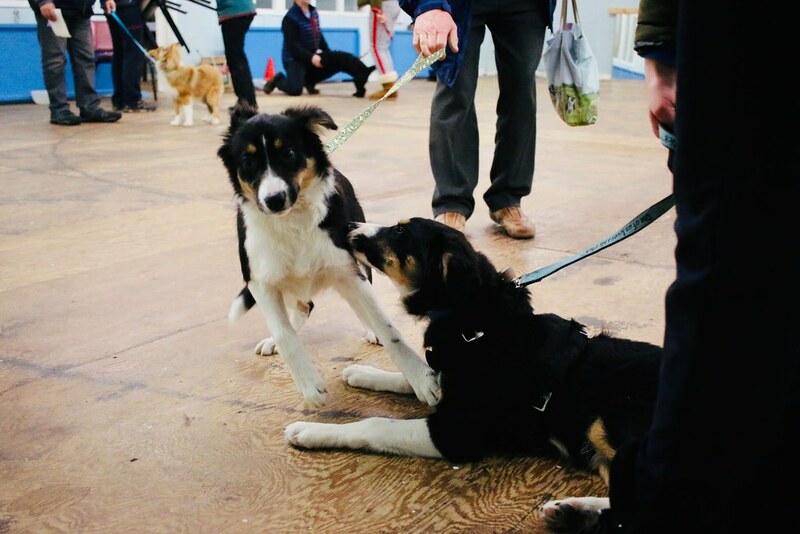 All of the puppies managed to perform a few tricks for everyone (Sue's was play dead, Bruce's was spin - in both directions!) and took part in a few games. My favourite was recall racing (perhaps that's because Sue happened to be very good at it) but we also played musical chairs (Sue and I were third out) and all had a go at a rally course. It was all great fun! I just had to take another picture of Bracken as I photographed him on the first night of puppy class and I may have a soft spot for him. He's very sweet. 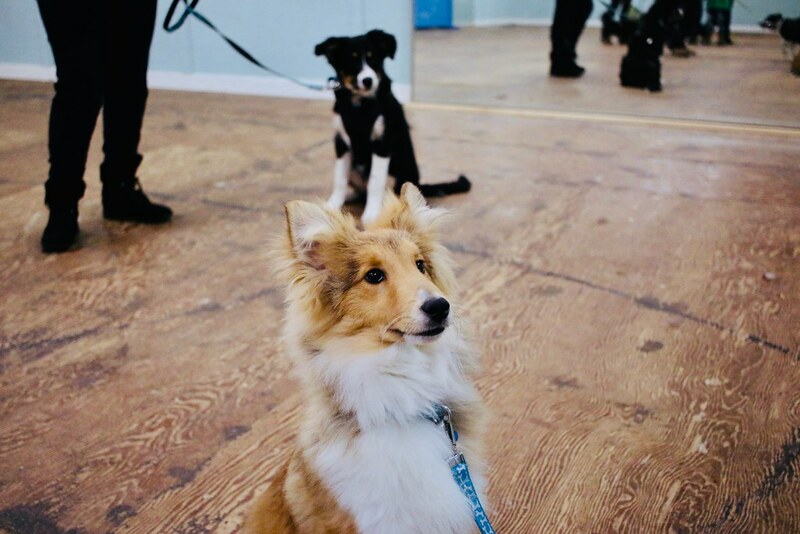 This was typical of puppy class - Bruce, calm and collected, and Sue with places to go and people to see. I can't believe puppy class is over - those six weeks flew by. 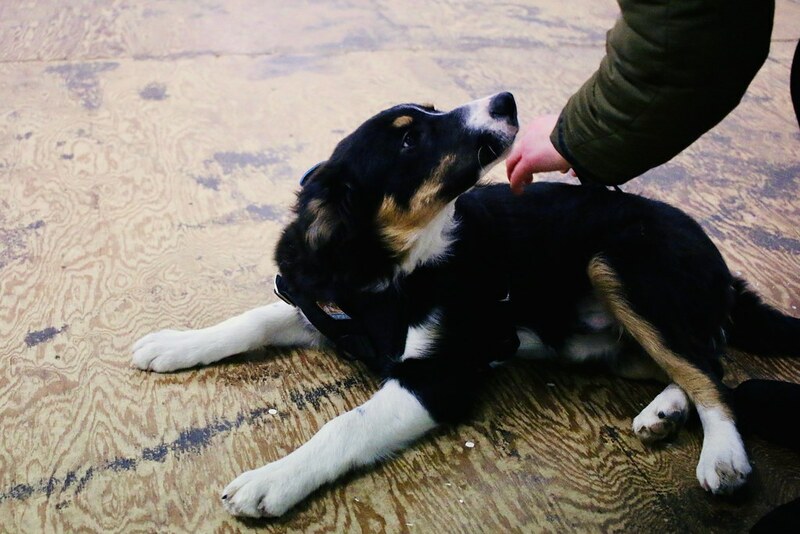 Bruce is going on to the Bronze level of training, while I'm hopefully taking Sue after lambing. Sue and I will try and get some practise in in the meantime Good luck, Bruce! I can't believe it has been 6 weeks already! Time flies! Good girl Sue. recall is so important and in this setting with all the distractions too. Bracken is such a cutie with his little foxy face. Lovely pic of Bruce gazing adoringly at Emma.